Inroducing beautiful Diamor script with glyths. 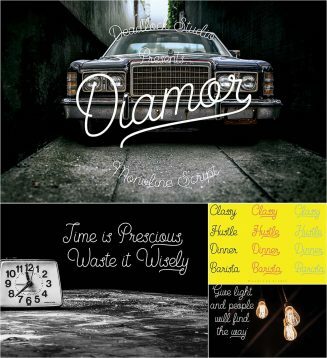 Perfect for invitations, product packaging, quotes, etc. Tags: calligraphy, classy, cursive, cyrillic font, Elegant, handwritting, monoline, script, webfont.